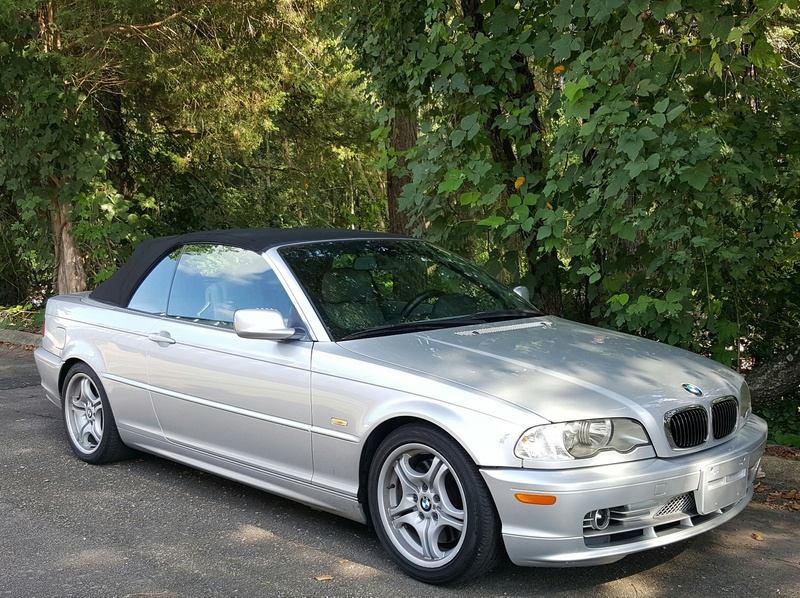 Tough to find, very healthy running Titan Silver 2002 BMW 330cic sport with 132K on the M54 inline six cylinder mated to a five speed manual transmission, rear wheel drive. This is a two owner vehicle optioned with: keyless entry/alarm, traction/stability control, Harmon Kardon sound, cruise, cd player, power windows, power mirrors, power locks, etc. Clean title, two owner accident free Carfax and a fresh NC state inspection. 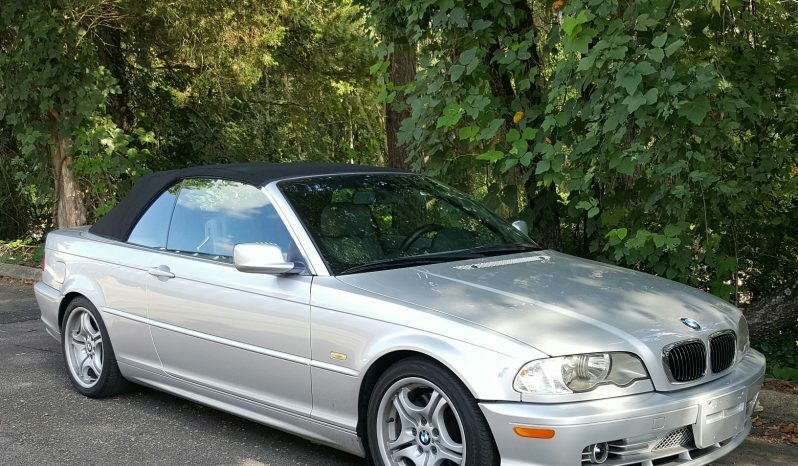 This vehicle has been serviced at franchise BMW dealerships for the majority of its life. Recent routine maintenance includes new thermostat and new convertible top pump. Feel free to contact us with any further questions or concerns. Thanks for your time!